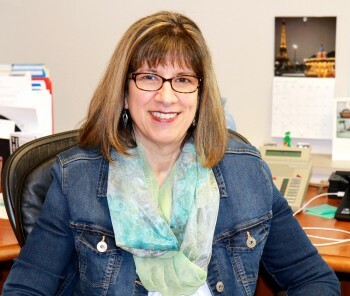 Patti Stump believes effective HR happens by getting out into the business, which is how she keeps a pulse on what’s happening on the ground at Invacare. When Patti Stumpp was promoted to senior vice president of human resources at Invacare in 2009, conversations about change within the company’s culture were just beginning. The home- and long-term-care medical device manufacturer had experienced rapid growth, primarily through acquisitions. As a result, it had developed the mentality of a holding company: many of its acquisitions and regional business units continued to operate independently. While this was a successful model at the time, the company realized that the complexity of its structure would not be sustainable for the long term, as health-care reimbursement rates for its customers continued to decline. What wouldn’t work were the redundancies that the company was experiencing. For example, the company had three separate engineering groups in different regions all focused on making beds. They recognized they could create efficiencies by assigning two of those groups to work on something else. One of the largest challenges of corporate streamlining for a large organization like Invacare is communicating those changes to all of the employees. Invacare employs 5,400 people globally, and while many are based at its headquarters, the company has individual salespeople in almost every state. Posting a notice in the break room is no longer a viable option for corporate communications. Even sending an e-mail is not the most reliable way of communicating for employees in the field.